Taking you to bubble heaven! Cheryl (aka Bubble B) and caroline (aka Bubblz) have been entertaining at children’s and family parties for 26 combined years. Making bubbles and balloons for birthday parties, weddings, christenings and family occasions. 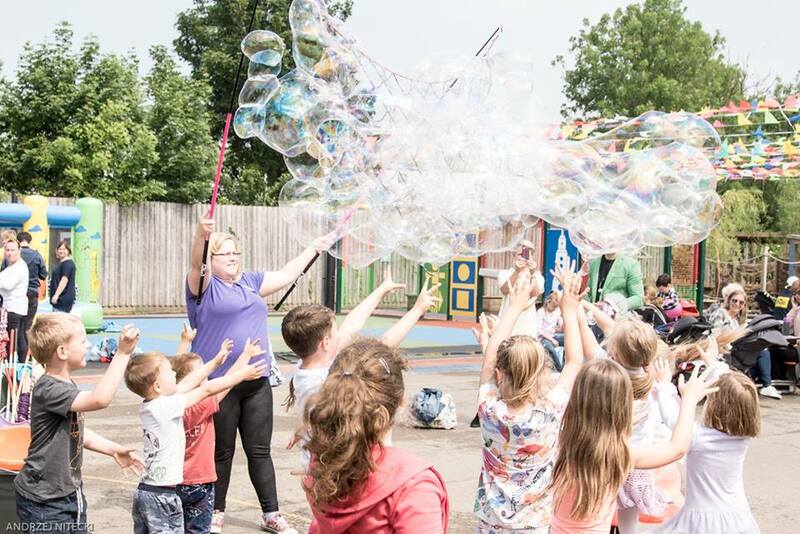 Working together they have so many ‘wonderbubble’ party options available in Gloucestershire, Oxfordshire, Worcestershire, Somerset, Buckingham, London and home counties. Bubble parties are sensory, interactive, fun filled and at times jaw dropping! 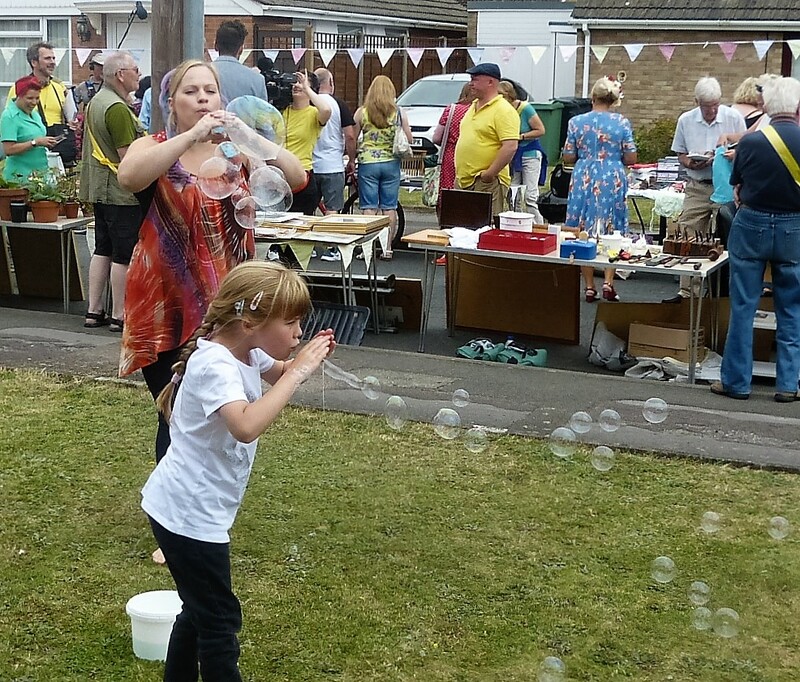 Bubbles can be enjoyed indoors and outdoors so the good old English weather does not stop a bubble party. Giant bubble display & play involves the bubble artist making mega large bubbles for the children to watch and play with. 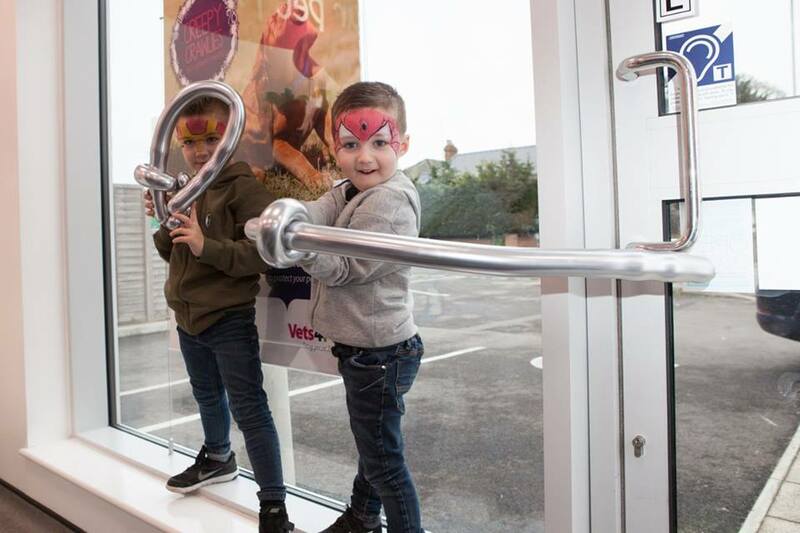 They will also be able to have have a go themselves at making giant bubbles. 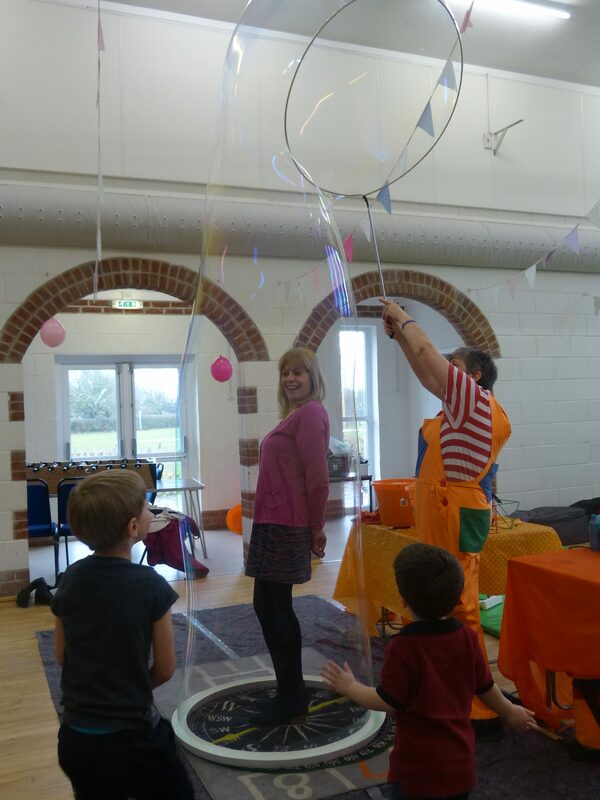 The birthday child will get a special go at making a 2 person giant bubble. Read more about Bubblz and Bubble B’s bubble shows. 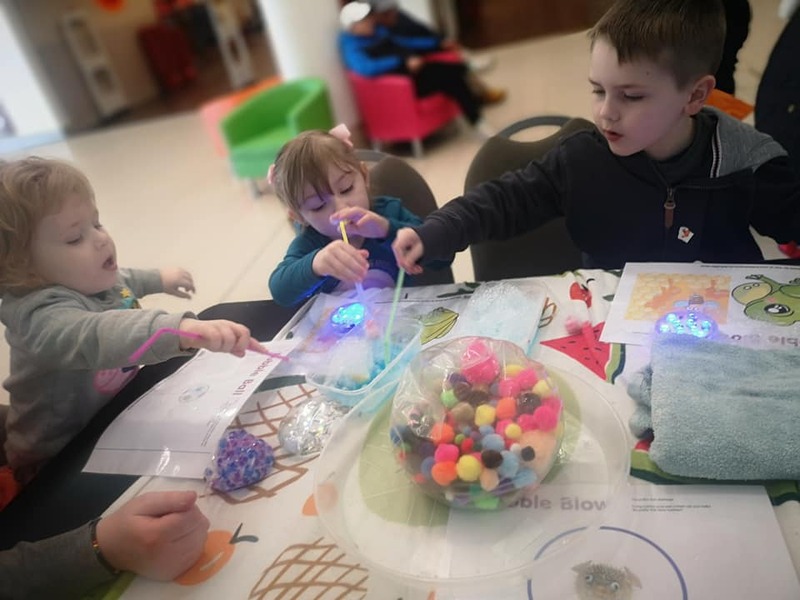 Indoor bubble workshops (table top) can include bubble games, bubble shapes, smoke bubble demonstrations, bubble dome making, bubble hair dos and bubble sculptures. 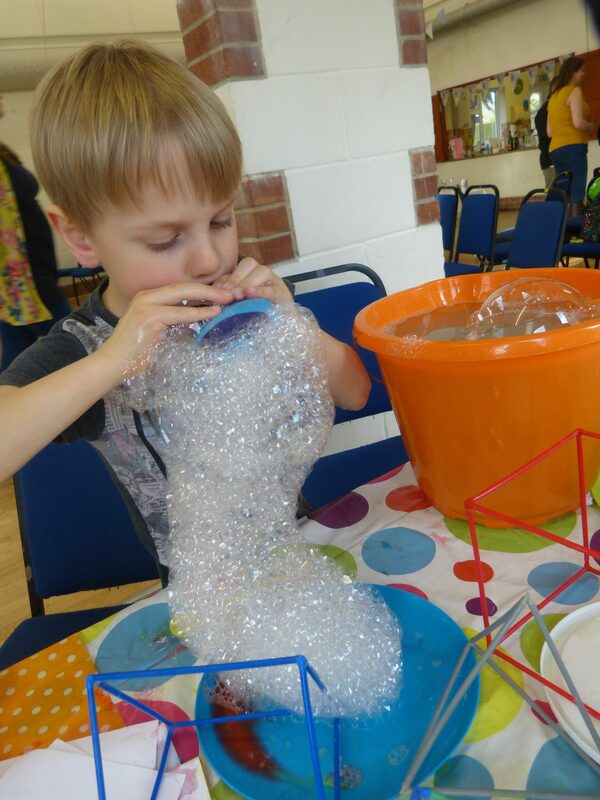 See more about indoor bubble workshops. Kid-in-a-bubble can be set up anywhere indoors and the children take it in turns getting inside a big bubble, suitable for children and adults of all ages and abilities. 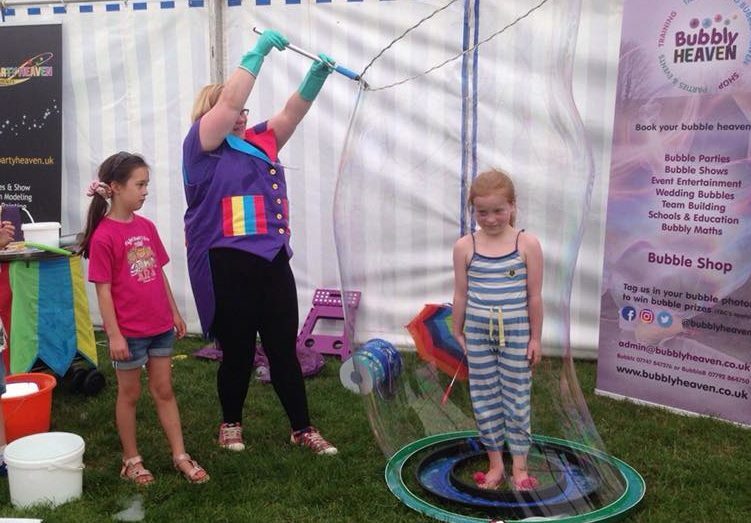 Our bubble entertainment can be adapted to suit to all ages, abilities and special needs. 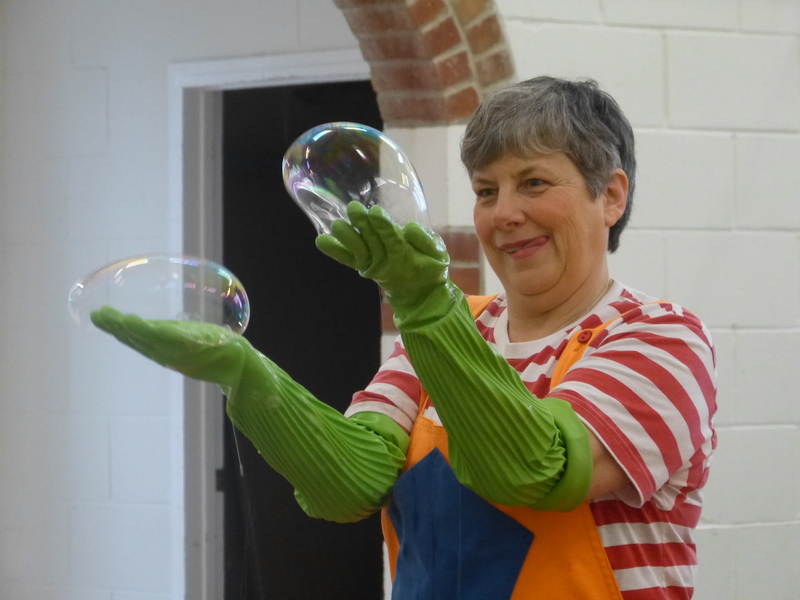 Cheryl is founder of So Sensory Bubbles who specialise in bubbles for SEN and care home residents with dementia. So Sensory Bubbles also have special bubble products suited for the very young and those with special needs which can be provided for our parties (by prior arrangement). 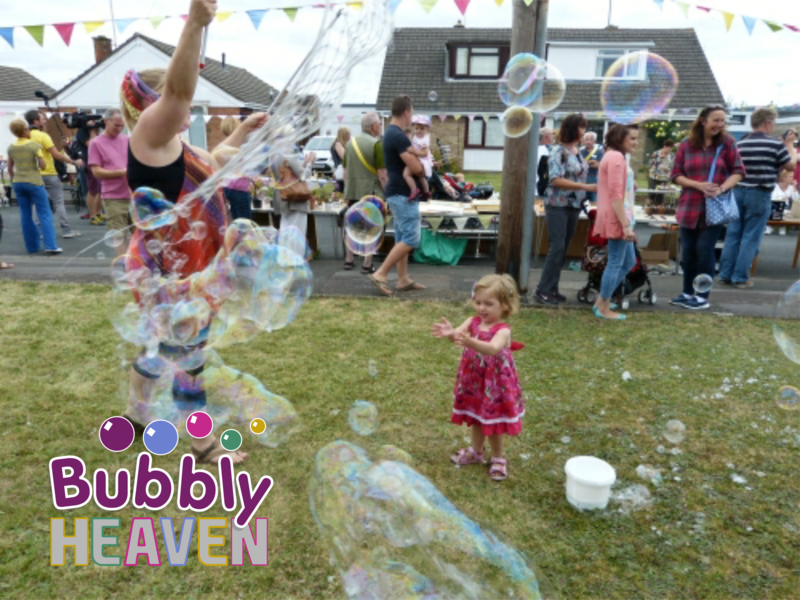 Working closely with So Sensory Bubbles, Bubbly Heaven can provide top notch SEN friendly bubble parties. 30-40 mins outdoor bubble display, play and have a go session OR indoor bubble activities – weather dependent! Ideal for hen parties and other mainly adult occasions. To check availability and book get in contact.